Over centauries human DNA has undergone tremendous alteration due to evolutionary and lifestyle changes. They have led to both, advantages and disadvantages over the years. Some have given the mankind a deserving edge over other creatures while the others have led to disorders and diseases. Predictive genetic testing and consumer/wellness genomics market thrives on the growing demand for understanding the lineage of a certain gene pool to identify disorders that could manifest in the later or early stage of a human life. The surging demand for understanding the family history or studying the nature of certain diseases has given the global market for predictive genetic testing and consumer/wellness genomics market adequate fodder for growth in the past few years. This new class of medical tests are aimed at reducing the risk of morbidity and mortality amongst consumers. The thorough surveillance and screening of a certain gene pool can allow an individual to avoid conditions that disrupt normal existence through preventive measures. The clinical utility of these tests remains unassessed. Therefore, increasing research and development by pharmaceutical companies to develop new drugs by understanding diseases and disorders is expected to favor market growth. Unlike conventional diagnostic testing, predictive genetic testing identifies the risk associated with potential conditions. In certain cases it is also capable of stating when the disease may appear and the how severe will it be. Thus, this form of testing is expected to allow consumers to take up wellness measurements well in time to lead a life of normalcy, characterized by good health. Predictive genetic testing are used to identify gene mutations pertaining to the disorders that surface at a considerably later stage in life after birth. These tests are particularly beneficial for people from a family with a history of genetic disorder, although they themselves show no symptoms of the disorder at the time of testing. Genetic testing promises to revolutionize the healthcare sector, providing crucial diagnostic details related to diverse verticals such as heart disease, autism, and cancer. As the healthcare sector touches new peaks, the global predictive genetic testing and consumer/wellness genomics market is projected to expand at a healthy growth rate during the forecast period of 2017 to 2025. 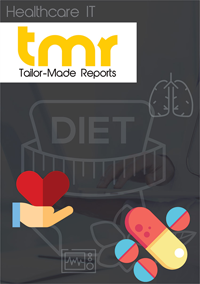 This report on the global market for predictive genetic testing and consumer/wellness genomics analyzes all the important factors that may influence the demand in the near future and forecasts the condition of the market until 2025. It has been created using proven research methodologies such as SWOT analysis and Porter’s five forces. One of the key aspect of the report is the section on company profiles, wherein several leading players have been estimated for their market share and analyzed for their geographical presence, product portfolio, and recent strategic developments such as mergers, acquisitions, and collaborations. The global predictive genetic testing and consumer/wellness genomics market, on the basis of test type, can be segmented into predictive testing, consumer genomics, and wellness genetics. The segment of predictive testing can be sub-segmented into genetic susceptibility test, predictive diagnostics, and population screening programs, whereas the segment of wellness genetics can be further divided into nutria genetics, skin and metabolism genetics, and others. By application, the market can be segmented into breast and ovarian cancer screening, cardiovascular screening, diabetic screening and monitoring, colon cancer screening, Parkinson’s or Alzheimer’s disease, urologic screening or prostate cancer screening, orthopedic and musculoskeletal screening, and other cancer screening. Geographically, the report studies the opportunities available in regions such as Asia Pacific, Europe, North America, and the Middle East and Africa. Increasing number of novel partnership models, rapidly decreasing cost of genetic sequencing, and introduction of fragmented point-solutions across the genomics value chain as well as technological advancements in cloud computing and data integration are some of the key factors driving the market. On the other hand, the absence of well-defined regulatory framework, low adoption rate, and ethical concerns regarding the implementation, are expected to hinder the growth rate during the forecast period. Each of these factors have been analyzed in the report and their respective impacts have been anticipated. Currently, the segment of predictive genetic cardiovascular screening accounts for the maximum demand, and increased investments in the field is expected to maintain it as most lucrative segment. On the other hand, more than 70 companies are currently engaged in nutrigenomics, which is expected to further expand the market. Owing to robust healthcare infrastructure, prevalence of cardiovascular diseases, and high adoptability rate of new technology makes North America the most lucrative region, with most of the demand coming from the country of the U.S. and Canada. Several U.S. companies hold patents, which further extends the outreach of the market in the region of North America. 23andMe, Inc, BGI, Genesis Genetics, Illumina, Inc, Myriad Genetics, Inc, Pathway Genomics, Color Genomics Inc., and ARUP Laboratories are some of the key companies currently operating in global predictive genetic testing and consumer/wellness genomics market. Various forms of strategic partnerships with operating company and smaller vendors with novel ideas helps these leading players maintain their position in the market.